OPINION: Companies and governments must view indigenous communities as equal partners. “We take Indigenous consultation very seriously,” the woman shared. Alone at my table, I looked over to her group of five who were getting acquainted over lunch. We had the same idea, to sneak away during a break at the Arctic Circle Assembly in Reykjavik, Iceland, and get some work done. As they chatted over coffee, I couldn’t help but notice that although their conversation was focused on Indigenous consultations, not one person in their group was native. Their conversation mirrored many I had that weekend: Indigenous communities are a key stakeholder in the Arctic, and governments, businesses, and the social sector wanted them at the table to collaborate. While I’m happy to see organizations prioritize this engagement, its execution nearly always fails. As the co-founder of the Aboriginal Professional Association of Canada, my work has taken me across Canada working with Indigenous leaders and youth. 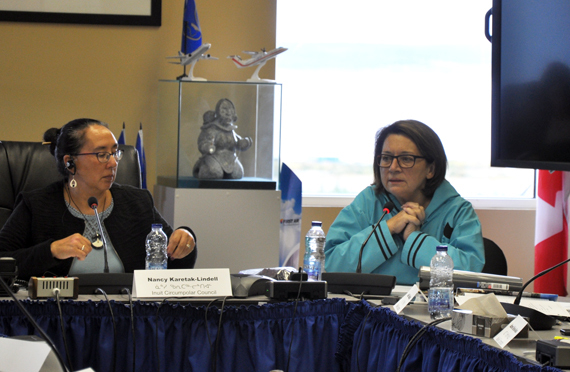 Through these meetings I have heard firsthand how too often Indigenous consultations are a check-the-box exercise. Organizers invite communities to the table and discussions begin. Sometimes the process lasts several months, and although stakeholders make concessions, communities lack full authority over their traditional lands. If conversations break down or the community does not want development altogether, the case is brought to the courts. Last November, the Supreme Court of Canada ruled in favor of building a ski resort on sacred First Nations land in British Columbia’s Jumbo Valley. The decision put an end to a 26-year legal battle, allowing development on land the Ktunaxa Nation consider sacred, as it is home to the Grizzly Bear Spirit. The community claims that any settlement on the land will push the spirit from the area, making their spiritual rituals meaningless. On one side, Ktunaxa Nation, a nation of six Indigenous communities. On the other, a 6,000-unit, $900 million ski resort. Lawyers and consultants who work in the space between industry and Indigenous peoples know too well that it’s a complex and complicated web. Legal rights are not always clear, and involve municipal, state, provincial and federal agents. Often these jurisdictions’ goals are misaligned and out of sync with those of the Indigenous community. Lobbyists and the private sector only add to the complexity. One year ago in the northern United States, the Dakota Access Pipeline and the Standing Rock Sioux Reservation were at the forefront of international media. Thousands of activists flooded the protest camp, celebrities from Katy Perry to Leonardo DiCaprio tweeted support for the Native American community and celebrated when the Army Corps of Engineers would not grant an easement in December 2016. One month later, a new president took office and the decision was reversed, giving way to the pipeline’s completion. If you visit the Dakota Access Pipeline website, the corporate interests promote it as a win for the community as it is not located on Standing Rock tribal lands (it was never planned to; the issue for the community was about water). If you were to ask the owners of the pipeline, they will tell you they consulted with Standing Rock. If you ask Standing Rock leadership, they will tell you the owners did not. Clearly their ideas on what consultation is do not align. Indigenous leaders have been calling for nation-to-nation discussions on environment and economic issues for decades. In countries like Canada, where they have some legal precedent on their side, Indigenous communities are usually invited to the table. But that is where the support often ends. Giving Indigenous communities full sovereignty over their traditional lands is not something even the most progressive government will do. Consult? Yes. Grant veto power? No. There are, however, examples of meaningful consultation. The Alaska Eskimo Whaling Commission, a coalition of Inuit subsistence hunters, has supported research on the bowhead whale in collaboration with the United States’ National Oceanic and Atmospheric Administration. This is one of several instances where government agencies have benefitted from the traditional knowledge of Inuit in Alaska, where communities aid in research; monitor salmon and whales; and consult on lease agreements. The majority of effective consultation projects are research-based between governments and Indigenous communities. It is more difficult once private sector investment enters the picture and profits are on the line. With melting polar ice and the opening of new shipping passageways in the Arctic, investment is finding its way north. With billions of dollars on the table, it’s hard for governments to turn down economic investment, let alone listen to a small group of Indigenous people asking to continue living their traditional way of life. True consultation means granting Indigenous communities full authority to say no to economic development on their land. Without this power balance and authentic dialogue, participants are simply inviting Indigenous communities to the table and asking them to sign on the dotted line. Gabrielle Scrimshaw is the co-founder of the Aboriginal Professional Association of Canada and is a dual degree candidate at Stanford Graduate School of Business and Harvard Kennedy School. The views expressed here are the writer’s and are not necessarily endorsed by ArcticToday, which welcomes a broad range of viewpoints. To submit a piece for consideration, email commentary (at) arctictoday.com.